In a recent Issue Brief, Keefe doubled down on his assertion that public employee union leaders are ineffective at doing their job—specifically, that there is no public employee pay premium. [iii] Keefe dismissed our criticisms of his original study as “desperate,” “unsound,” “inappropriate,” “unreliable,” and “incorrect.” Strong words—but unfortunately for Keefe, they’re not backed up by equally strong facts. The Center for Union Facts (CUF) criticized Keefe’s original analysis because he excluded part-time, full-year employees, including one-quarter of all teachers (a major public sector occupation). In total, that means approximately 12,700 people were missing from his analysis, an exclusion that made the public employee pay gap appear smaller than it otherwise would have been. In his rebuttal, Keefe ignores this point. Instead, he defends his decision to exclude all part-time employees—something that CUF never criticized. This clever bit of rhetorical misdirection makes it appear that Keefe and EcPI address our criticisms while actually ignoring them. Even if Keefe had been correct in his decision to exclude part-year full-time employees (including teachers) from his analysis, he still should be analyzing a sample of approximately 60,000 people. Instead, he’s looking at 44,280—over 15,000 fewer people than there should be for this study to be accurate. CUF also criticized Keefe’s original analysis for inappropriately controlling for the size of an organization that an employee works in. Keefe assumed that any employee currently working in state government would otherwise be employed in a large private sector business with 1,000 or more employees. It’s like arguing that every tech support person in the Department of Motor Vehicles is qualified to work at Google or Microsoft—a plainly unrealistic assumption. trol for organization size—a decision that CUF never criticized (and, in fact, agreed with, even though we disagreed with the manner in which he controlled for size). This rhetorical sleight of hand again makes it appear that Keefe addresses our criticisms instead of cleverly avoiding them. 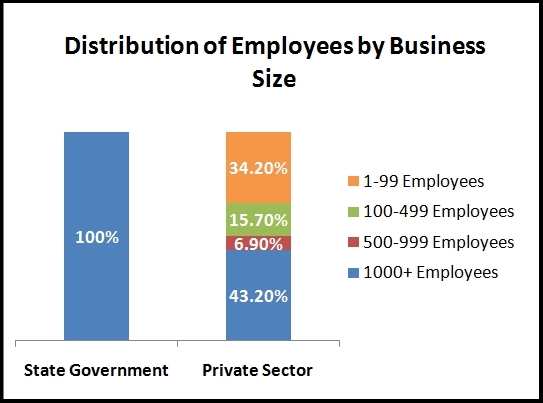 As the chart below demonstrates, well over half the employees in the private sector are employed by companies with fewer than 1,000 employees. Keefe’s unrealistic and inaccurate assumption that each state public employee would be qualified to work in the largest size company (with traditionally better benefits) significantly biases his results. Correcting for this error alone turns a public employee compensation penalty in the range of 2 to 4 percent into a compensation premium of 3 percent. [i] Jeffrey H. Keefe. “Debunking the Myth of the Overcompensated Public Employee.” Economic Policy Institute, September 2010. [ii] Andrew Biggs and Jason Richwine. “Are California Public Employees Overpaid?” Heritage Foundation Working Paper. [iii] Jeffrey H. Keefe. 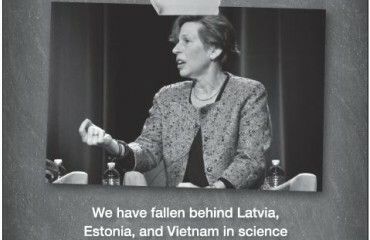 “Desperate Techniques Used to Preserve the Myth of the Overcompensated Public Employee.” Economic Policy Institute, March 2011. 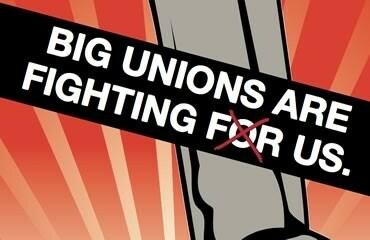 [iv] See table A4 in “The Economic Policy Institute is Wrong: Public Employees Are Overpaid.” Center for Union Facts.